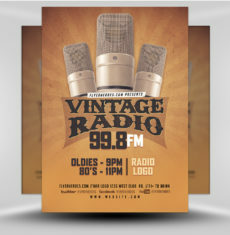 Ready to retro-fy your events? 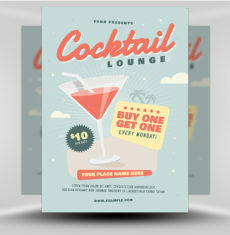 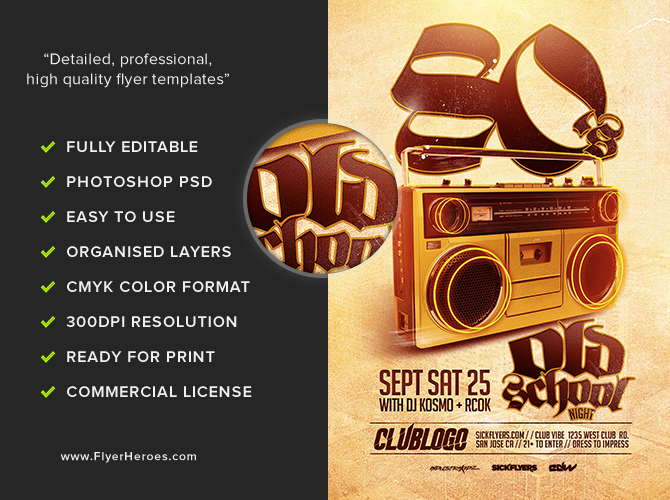 This Old School Flyer Template is perfect for 80s nights, old skool hip hop events and underground music parties. 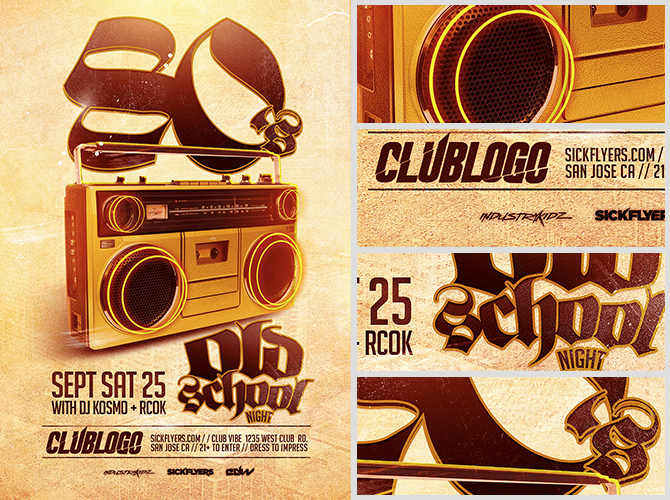 Its degraded style and grimy overlays create a design that lends itself very well to urban music type events. 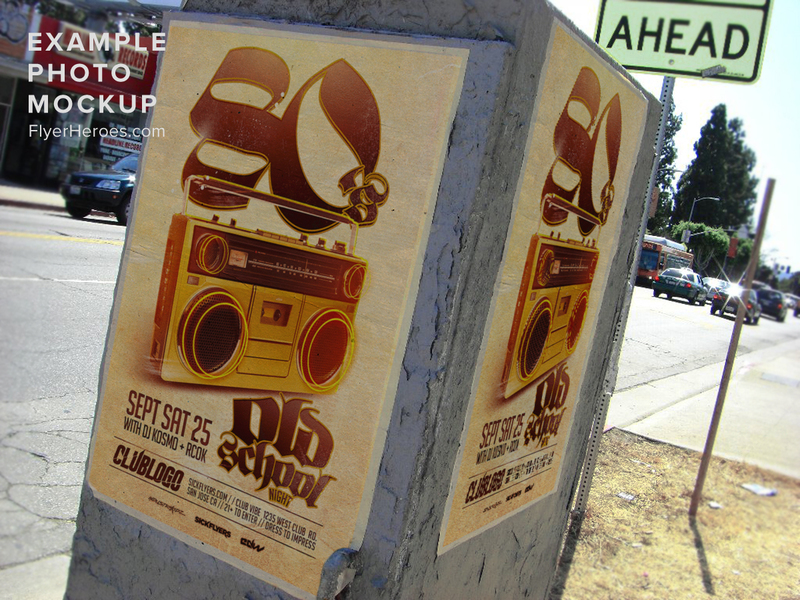 Further adding old school and retro nostalgia to the flyer is the large 3D vintage boombox, which symbolises both retro and music in one simple object. 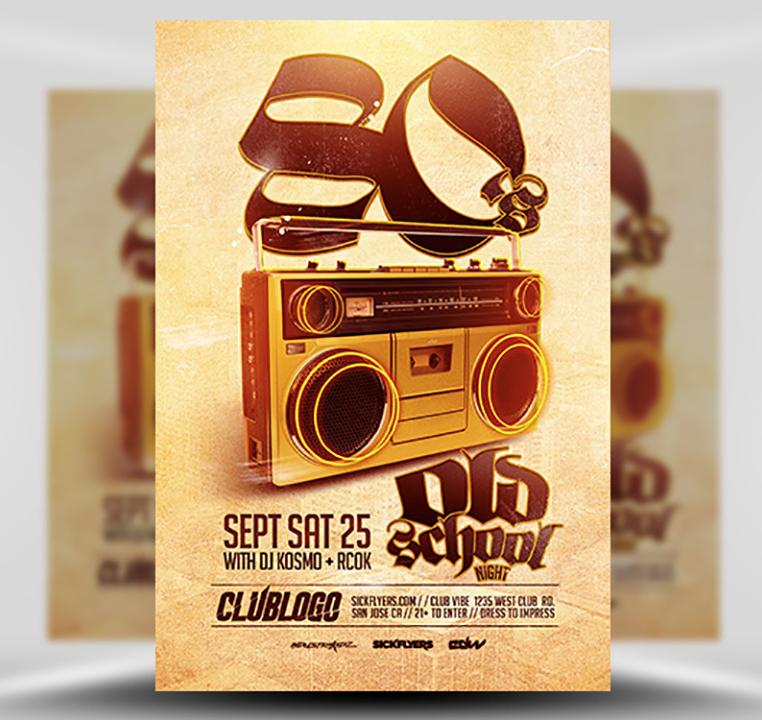 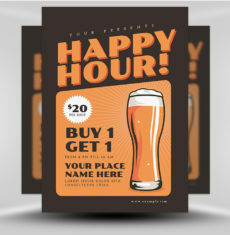 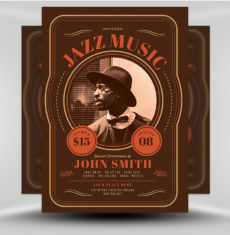 Old School Party Flyer Template is a premium Photoshop PSD flyer / poster template designed by FlyerHeroes to be used with Photoshop CS4 and higher.